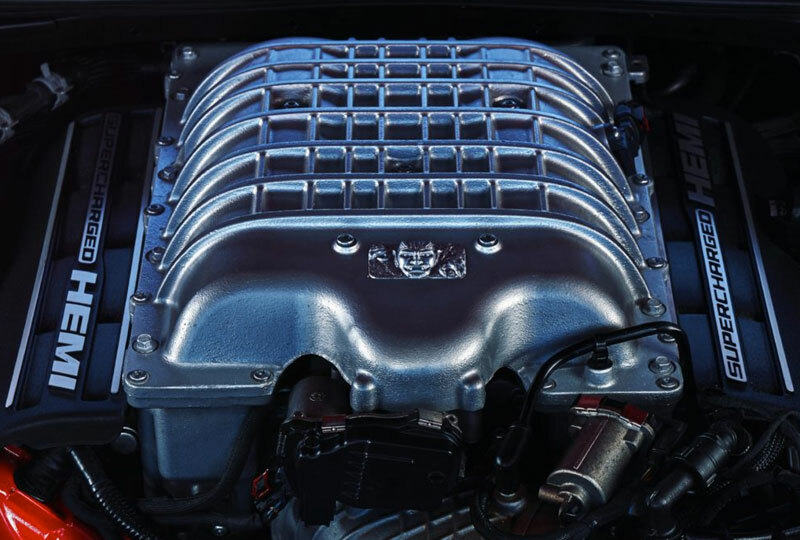 The 2018 Dodge Demon from Briggs Chrysler Dodge Jeep Ram in Fort Scott, KS, Serving Olathe and Kansas City, holds more power than you could ever imagine. 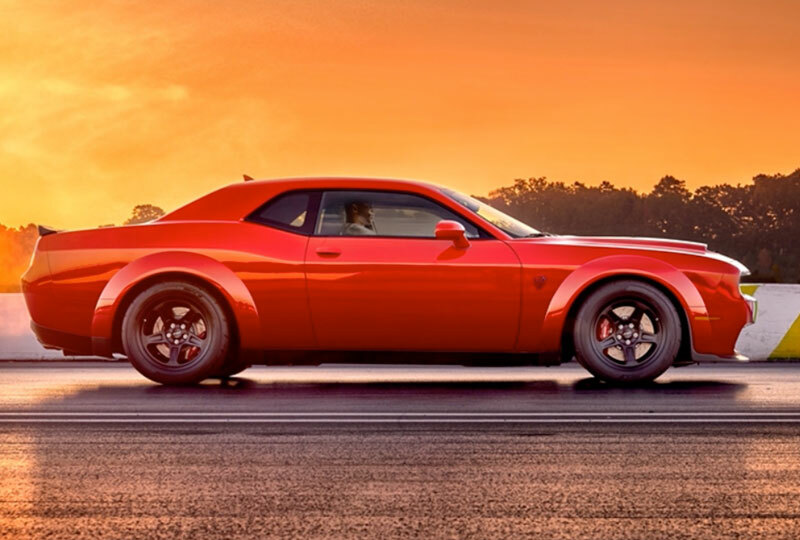 With legendary performance and a heritage-inspired design, the 2018 Dodge Demon is one for the books. The bold-attention grabbing exterior is given a loud voice with the roar of a powerful engine. You'll never go unnoticed in this daring sports car. The menacing design is completely captivating, and the air-grabber hood is an iconic feature. What makes this car a sports legend could only be the 6.2L HEMI SRT Demon V8 engine. If you want to wield up to 840 horsepower, grab the wheel of your 2018 Dodge Demon and put your foot on the gas. 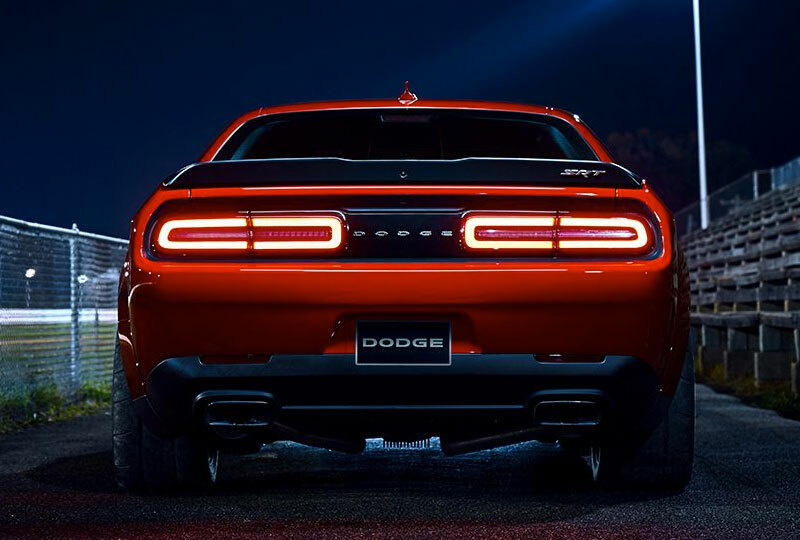 The time to buy a new Dodge is now. We have a great selection of 2018 models and unbelievable deals. Call us at 888-325-7339 to schedule your test drive, or stop by the dealership located at 1819 S Main Street, Fort Scott, KS. We can't wait to send you home in the new 2018 Dodge Demon you've always wanted! 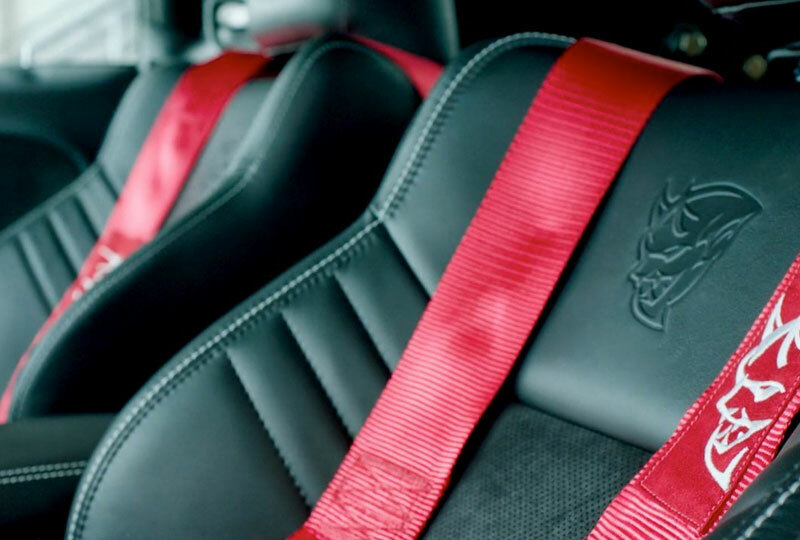 The interior of the Dodge Challenger SRT® Demon comes equipped with racing essentials designed to help you decimate the competition. Every feature was chosen to optimize drag strip performance. That's why the Dodge Challenger SRT® Demon is equipped with 315/40R18 Nitto NT05R™ drag radial tires. The Dodge Challenger SRT® Demon is built to be an elite performance machine. That's why it's powered by a Supercharged 6.2L HEMI® SRT Demon V8 engine and armed with a functional Air-GrabberTM hood scoop and Torque Reserve Launch System. The Dodge Challenger SRT® Demon is faster than a $1.6 million exotic car9. 8. Excludes non-mass production vehicles and hybrids/electric. 9. Vs. Bugatti Veyron based on ¼-mile time.